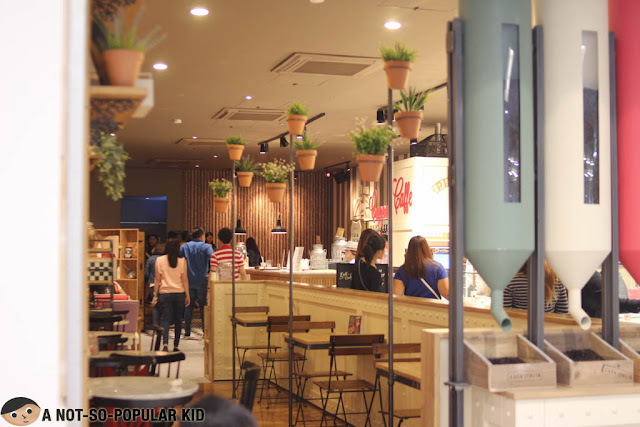 SM City North Edsa - Exploring a New Food Haven for Foodies! As SM Supermalls celebrate 30 years of bringing entertainment, joy and leisure to the people, the people behind the "curtains" decided to elevate this in a grander scale by reinventing their culinary spaces. 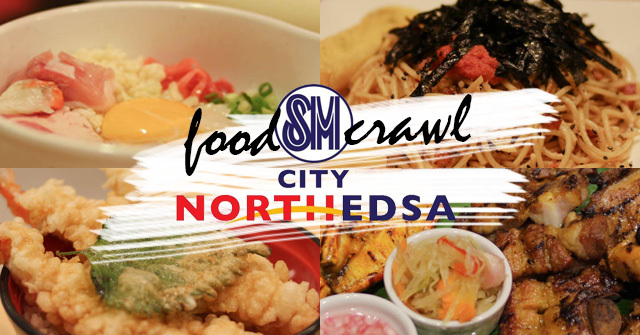 In line with this, SM City North Edsa is bringing in an intense gastronomic experience through its 30 exciting line-up of restaurants. Here in this blog post, I will be sharing 6 of them, so that's a good 20% of what you can fully explore here in the mall. 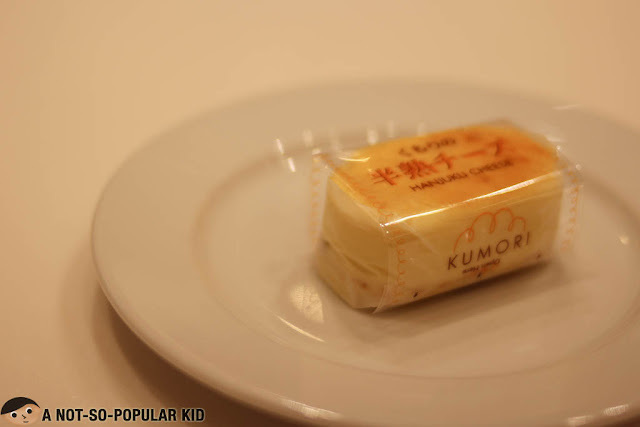 Okay, let's begin with Kumori! 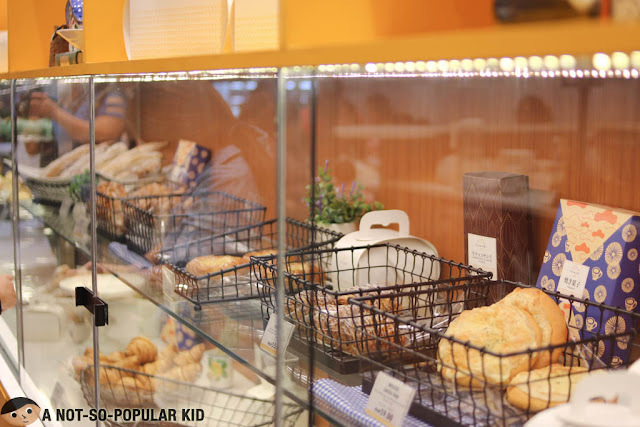 Kumori Cafe offers a wide range of fancy pastries offering exciting flavors and textures, but aside from that, you'll also fall in love with the beauty of the interior. 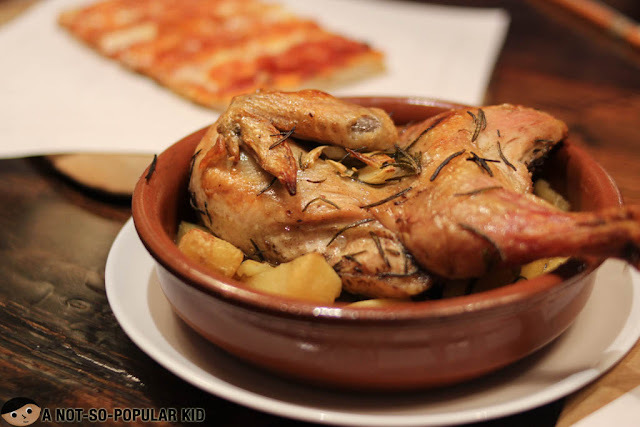 Every angle here in this restaurant is picture-perfect, and when you start focusing your attention on the food, you'll find more beauty even more. 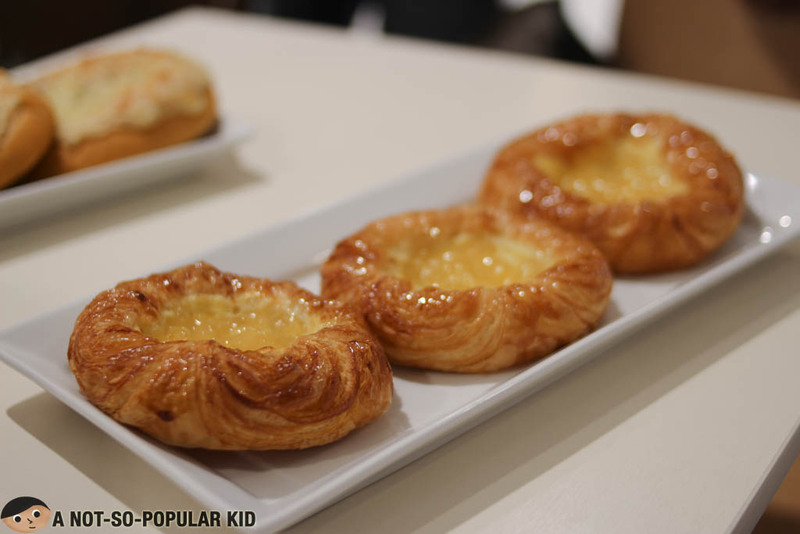 Now, let me share with you some pastries you'll find here in this cafe. Just be careful not get too overwhelmed by the tempting appeal of these goodies. 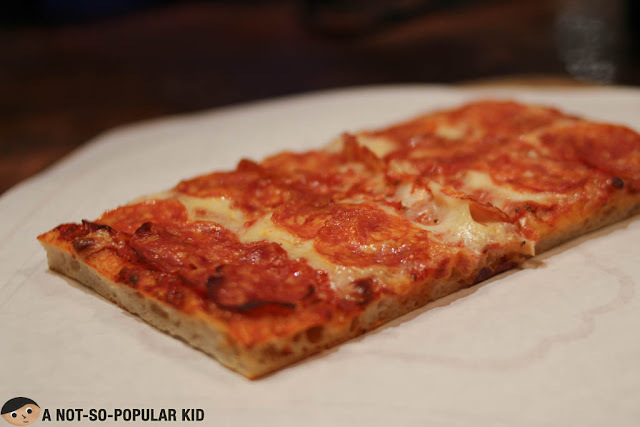 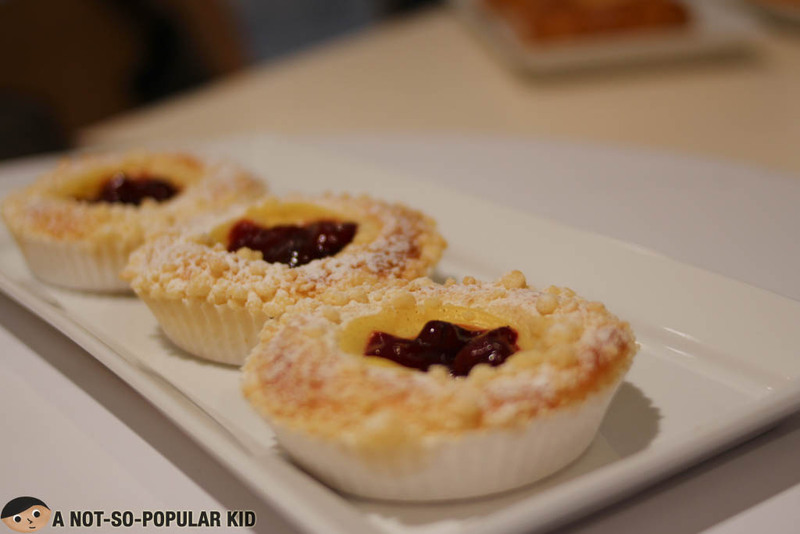 This pastry may be tiny, but it sure is huge on satisfying flavors! 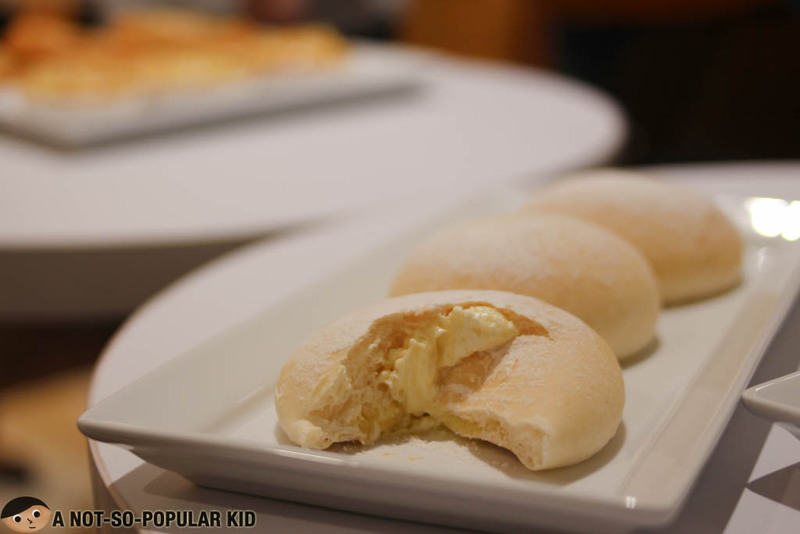 It also got this rich and smooth texture. 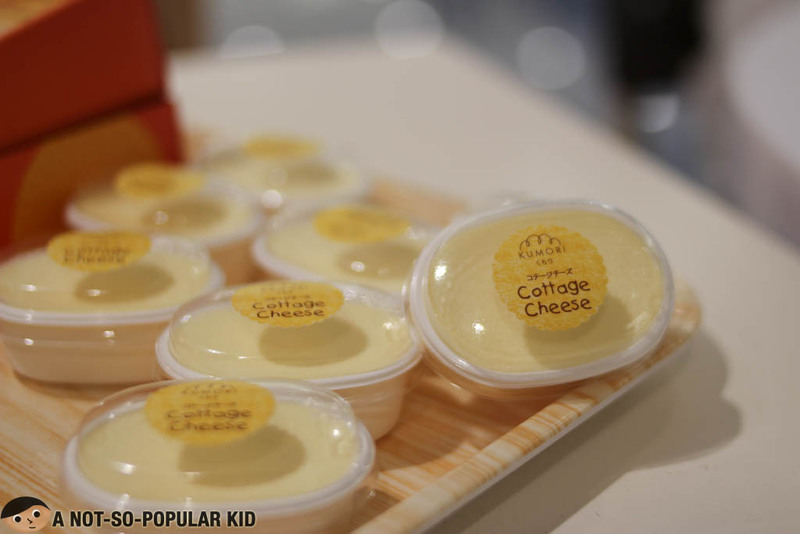 Now, this cheesecake-like cutie is definitely a sheer treat for cheese-lovers like me. It just got this amazing blend of creaminess and balanced flavors. 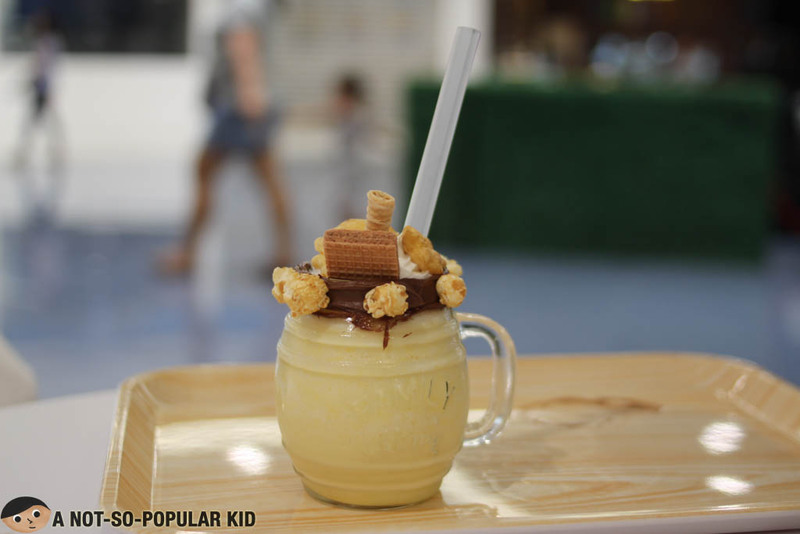 The drinks here are lovely as well both in terms of presentation and taste. Kumori is located in the ground floor of Food Circuit at The Block, SM City North Edsa. If you are getting tired of the usual ramen, then maybe it's time to go for some soba. 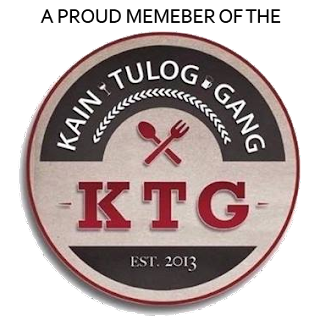 Best of all, they are priced affordably here relative to the famous ramen here in the Metro. 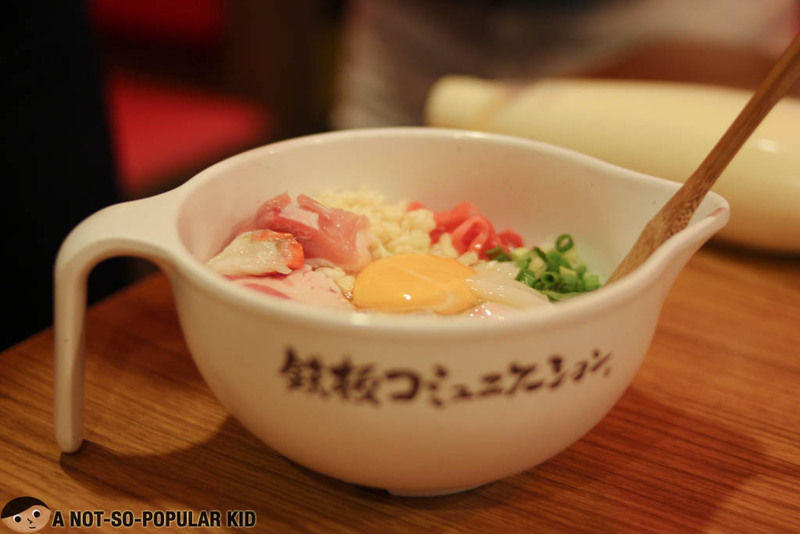 You'll find the flavors here in Nadai Fujisoba interesting as they are often different from the ramen. 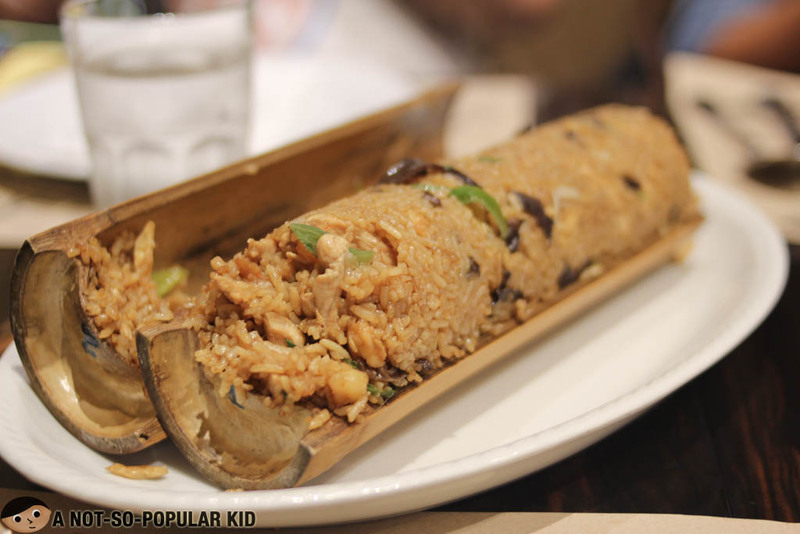 Plus, the texture of the soba really brings in something different for the palate. 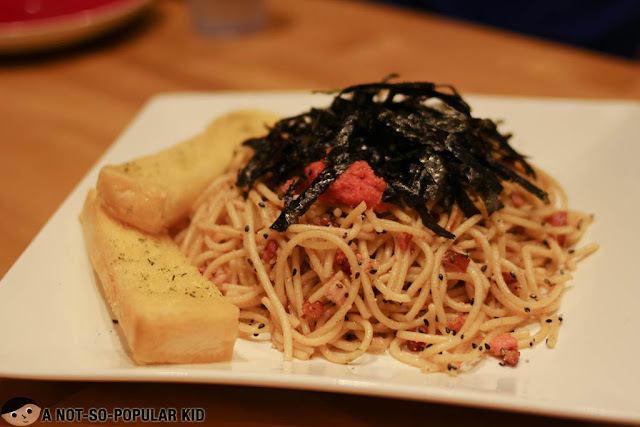 One popular dish you can find here in this restaurant is the Aka Fuji Soba which contains diverse ingredients that blend into a uniform unique taste. 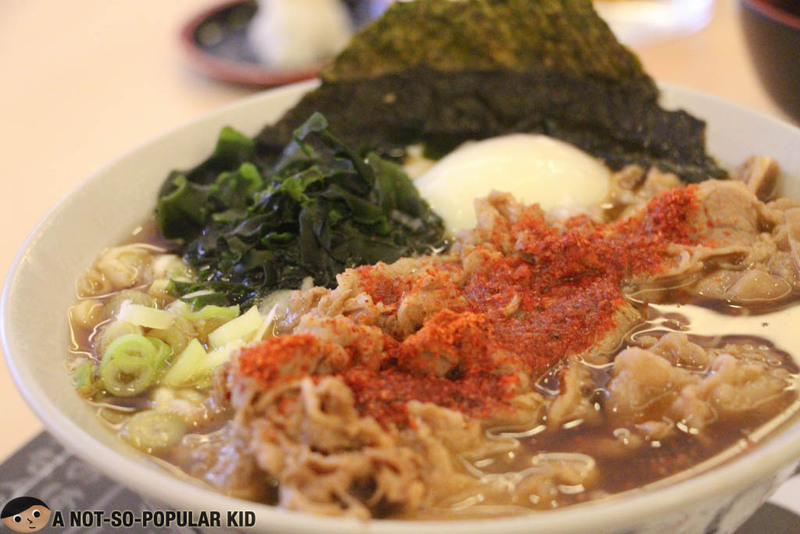 It has flavors coming from the broth, beef, nori, spring onions, chili powder, organic egg and etc. 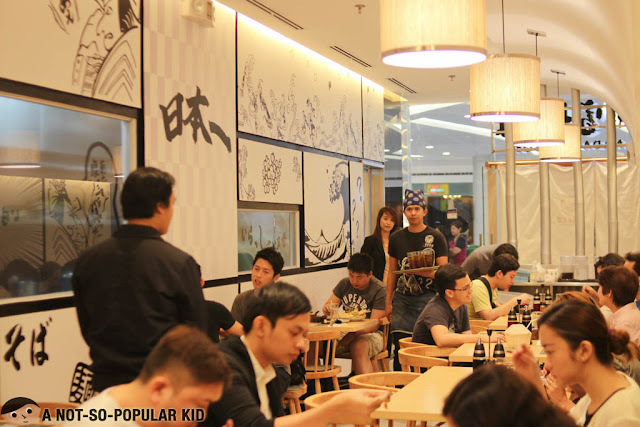 If you want to read more about the restaurant, you can check this blog on Nadai Fujisoba in Lucky Chinatown Mall. Nadai Fujisoba is located in the Ground Floor of Food Circuit at The Block here in SM City North Edsa. Belonging to the LJC Restaurant Group, the Bistro Remedios claims to offer the "best" Filipino cuisine.They serve here the traditional Filipino dishes we all love infused with some variations of twists. 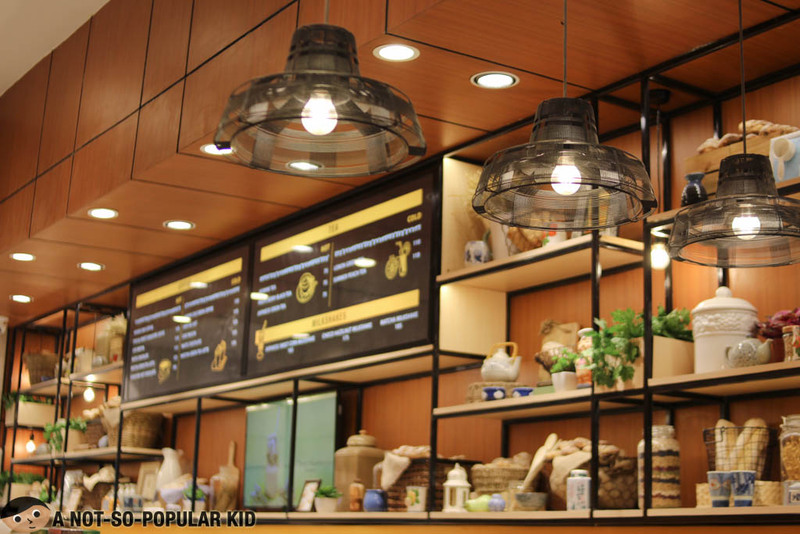 The interior of the restaurant has this warm and "hospitable" vibe probably as the effect of the Filipino spirit infused as well as the wooden elements. 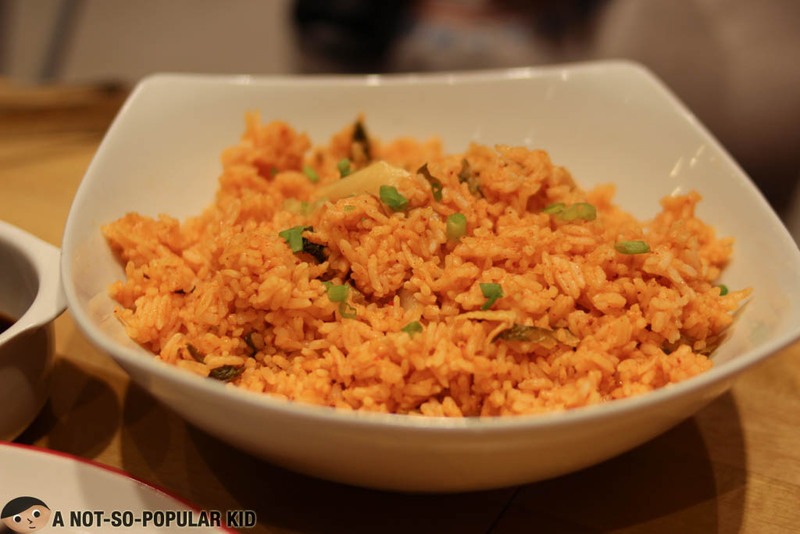 The dishes here are pretty much festive especially with the vibrant look and amazing blend of flavors. One example of this would be this collection of prawns, liempo and grilled chicken ala Cebuana. 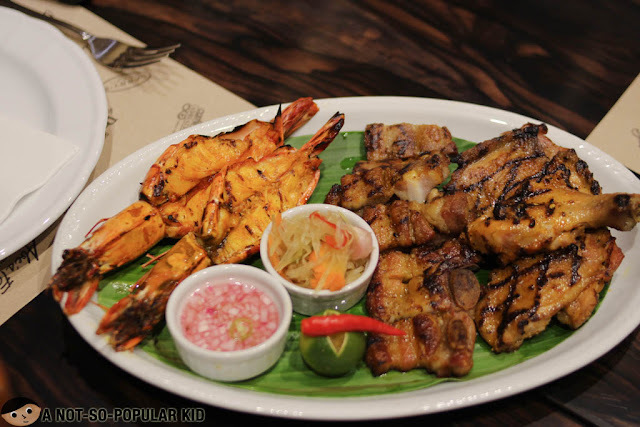 The dish is exciting called as Sinugba Platter. Another dish which this restaurant is famous for (as well as those others under the LJC Restaurant Group) is the Bamboo Rice, a rice interestingly cooked in a bamboo shell. 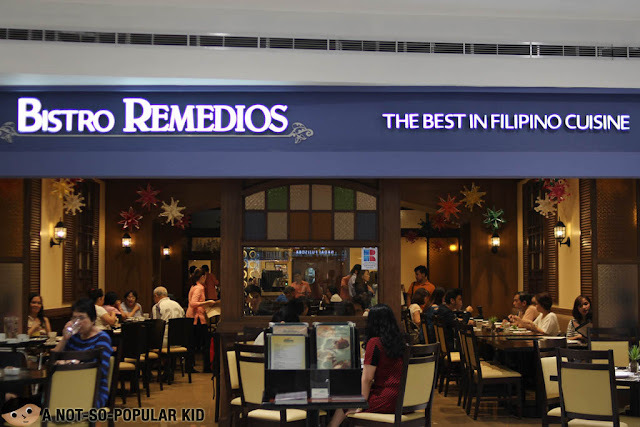 Bistro Remedios is located in the Ground Floor of Food Circuit at The Block here in SM City North Edsa. 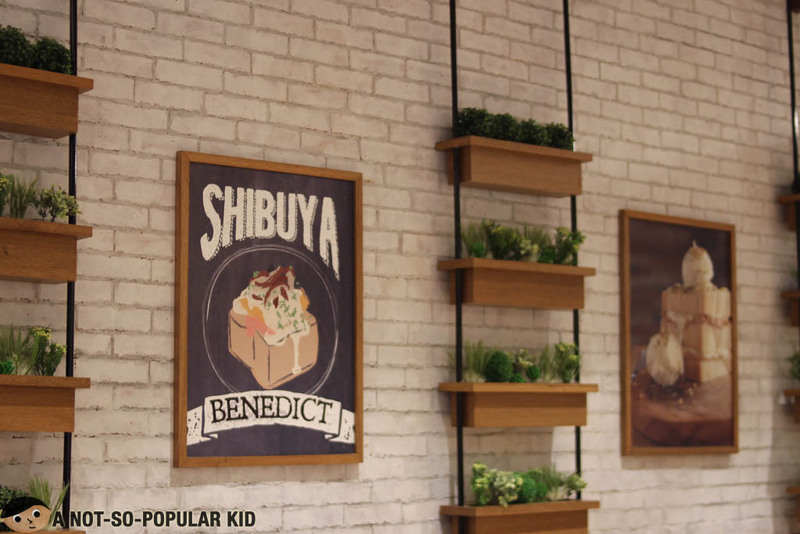 Cafe Shibuya is another cafe that features an interesting interior with a dash of creativity and comfort. 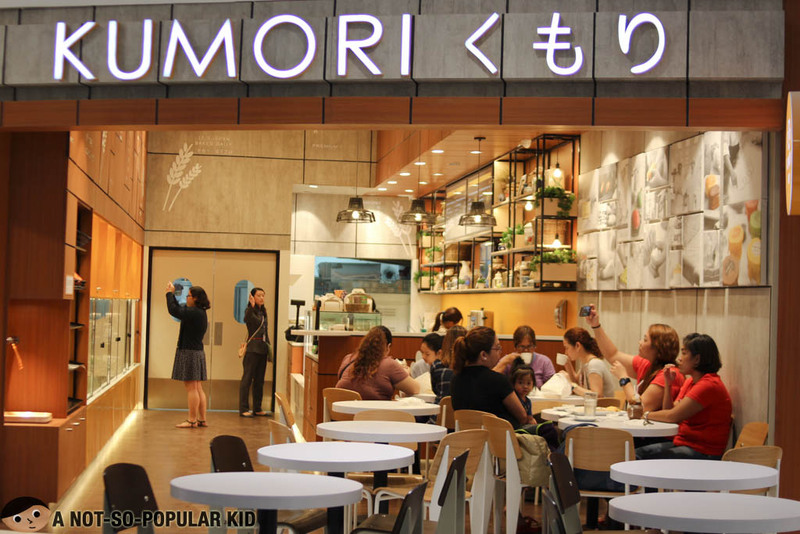 The array of food you can find here are infused with Japanese touch. Such as this pasta dish topped with nori flakes. 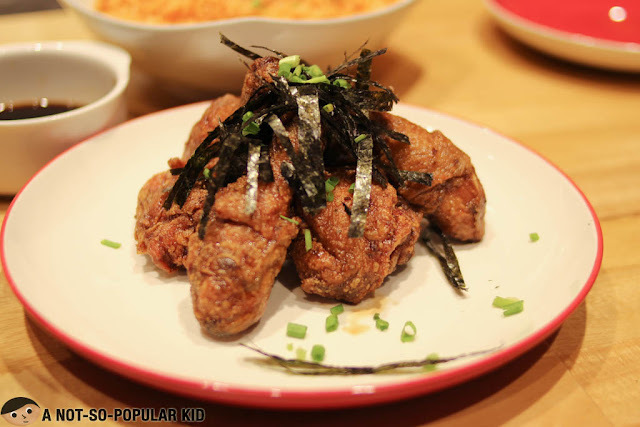 Another one is this Nagoya-style fried chicken with a sweet and garlicky soy sauce glaze called Tebasaki Fried Chicken. 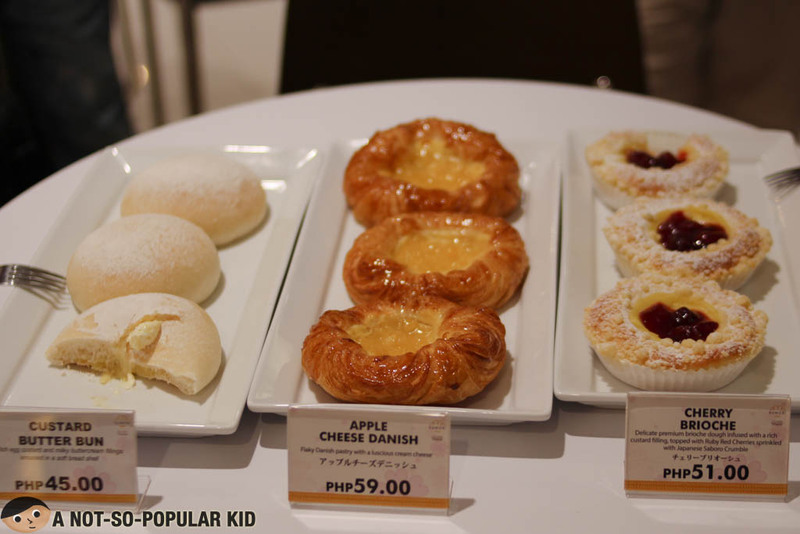 The desserts also look so tempting here, that you can almost taste its sweetness just by looking at it. 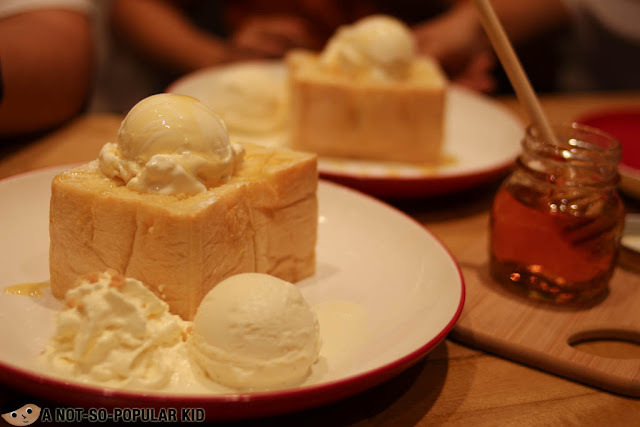 This one is called the Shibuya Honey Toast which goes with a vanilla ice cream and honey syrup. 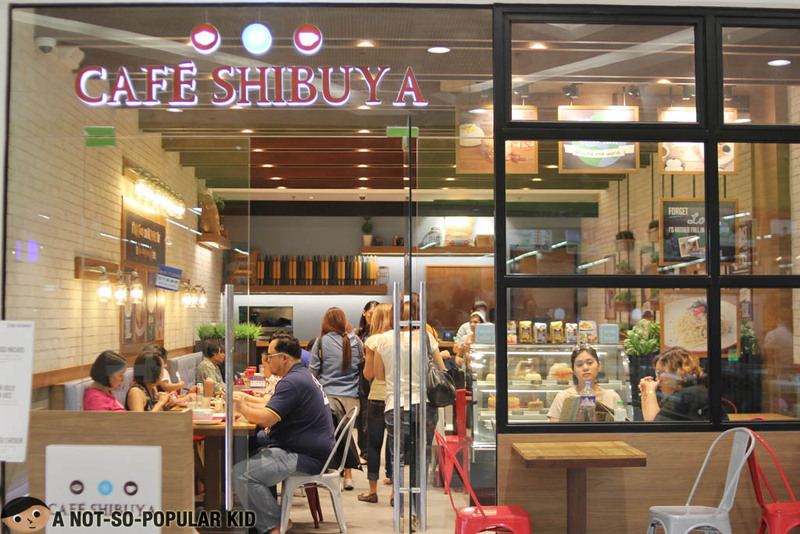 Cafe Shibuya is located in the Ground Floor of Food Circuit at The Block here in SM City North Edsa. You can satisfy your cravings for some Italian cuisine here in Casa Italia Cafe. 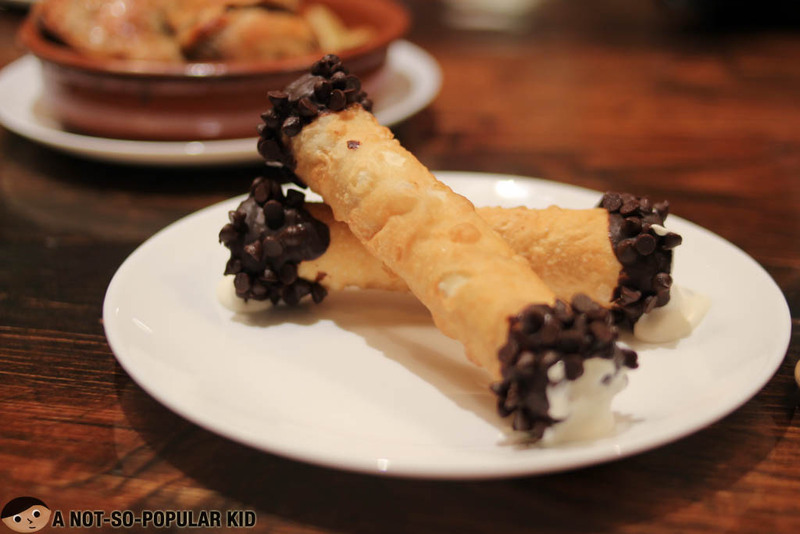 As you can see on the photo below, the restaurant specializes on coffee, gelato and wine. 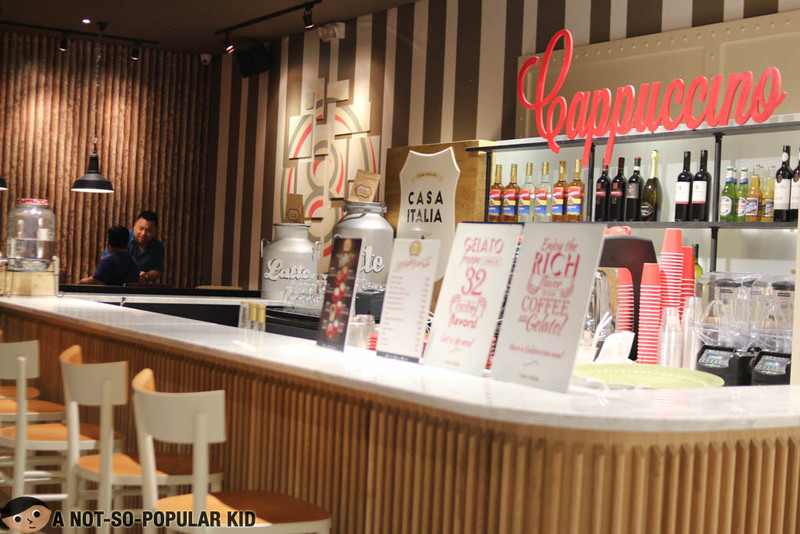 The interior has both a mix of casual and classy feel that merges together to bring something fun and comfy. 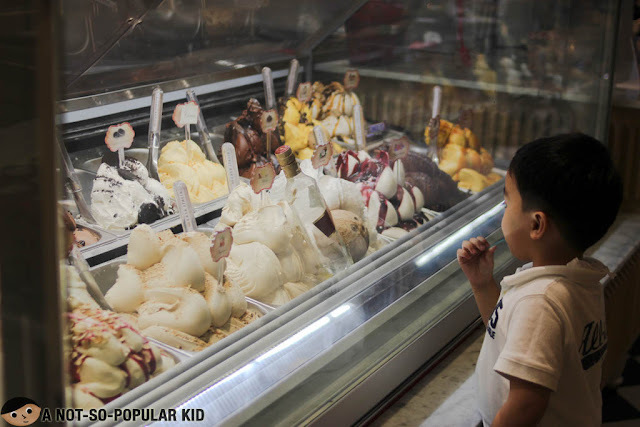 As mentioned, the place is known for its gelato selections. 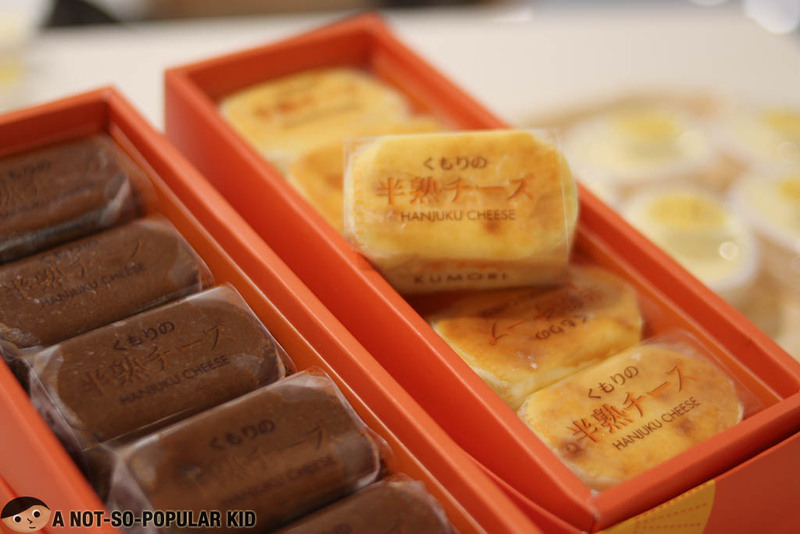 Of course, you may find here the traditional flavors, but you can also find some unique ones. 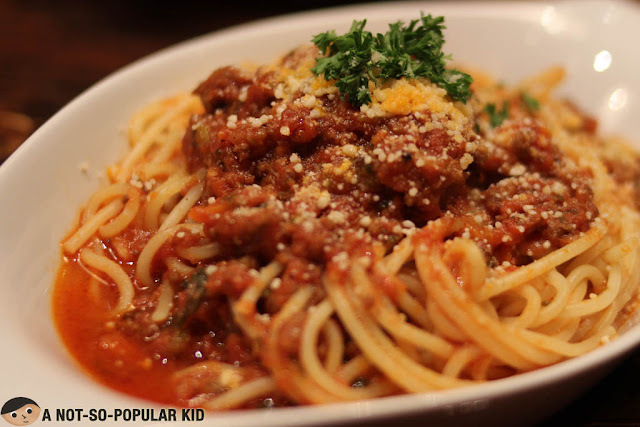 Of course, an Italian restaurant won't be labeled as such without the pizza and the pasta. Well, you can have both of them here. Now, although we normally associate just pizza and pasta for Italian cuisine, it usually has something else to offer such as this special chicken dish. 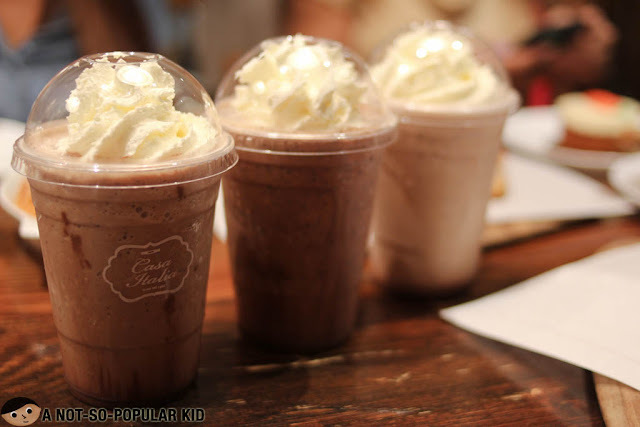 For coffee lovers, you can go for the frappes here or just go "bare" with just a cup of coffee. 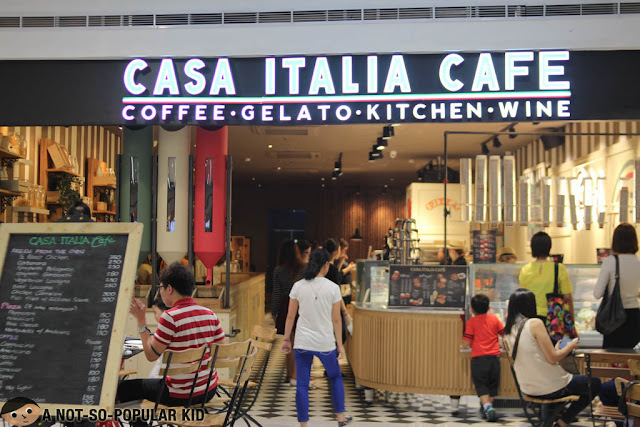 Casa Italia Cafe is located in the Ground Floor of Food Circuit at The Block here in SM City North Edsa. After the successful opening of its first-ever Philippine branch in Greenhills, Dohtonbori decided to spread the love of Japanese comfort food by setting up its second branch here in SM City North Edsa. Now, you will no longer need to go all the way to Greenhills, so all of us North people can rejoice! 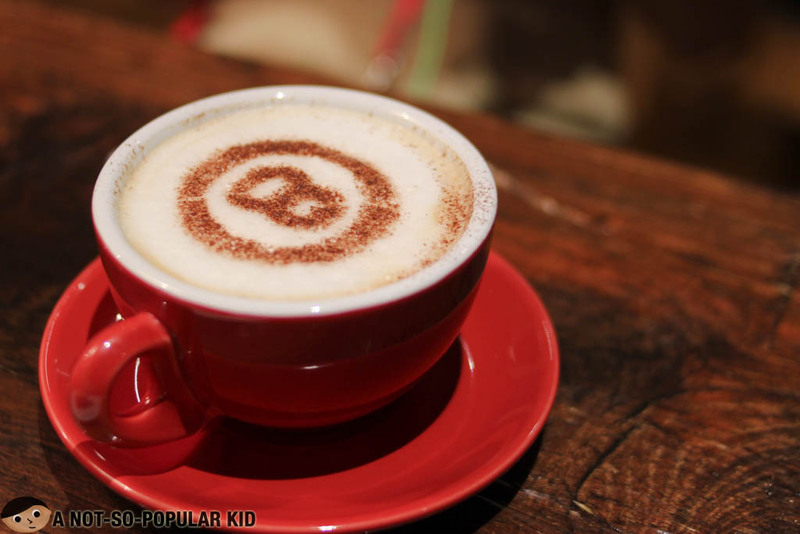 (Actually, I'm sort of in between North and South). The interior of Dohtonbori has this amazing cultural feel that allows you be subtly experience Japan. 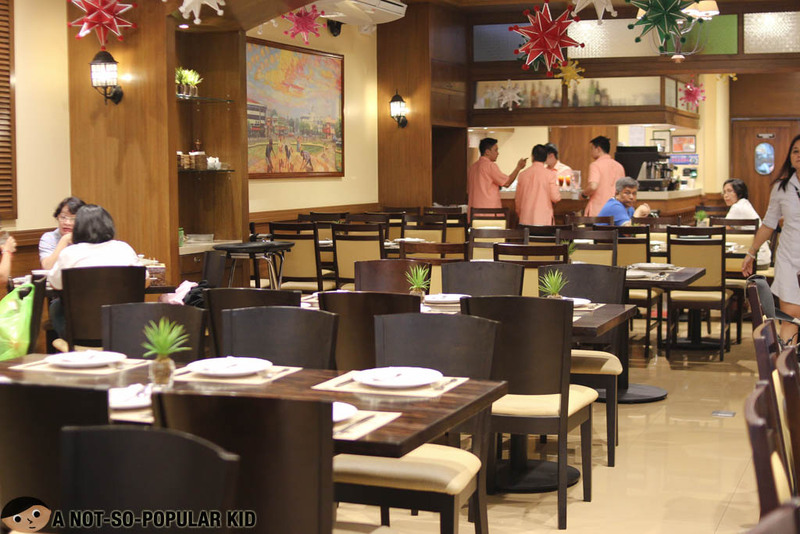 It adds to the immense level of comfort received after indulging on the dishes found in this restaurant. 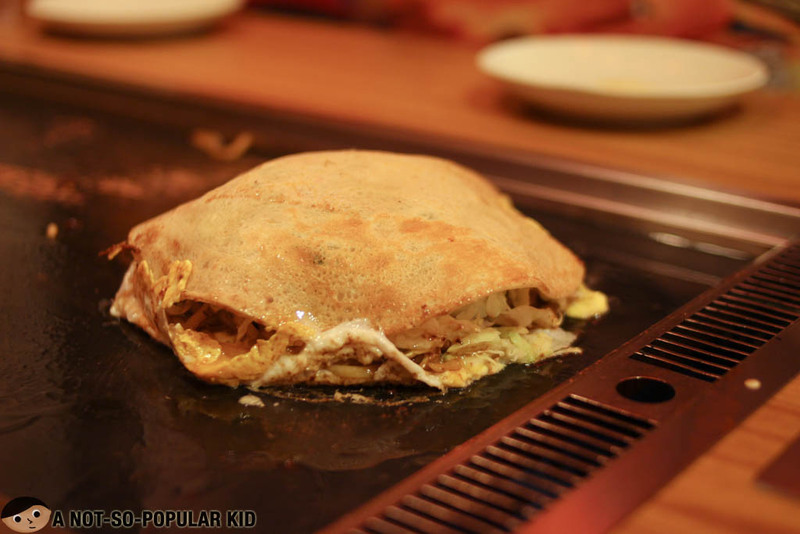 The most popular dish here in Dohtonbori is Okonomiyaki, and you'll find a couple of variations depending on your preference. 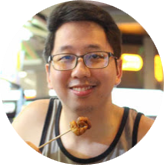 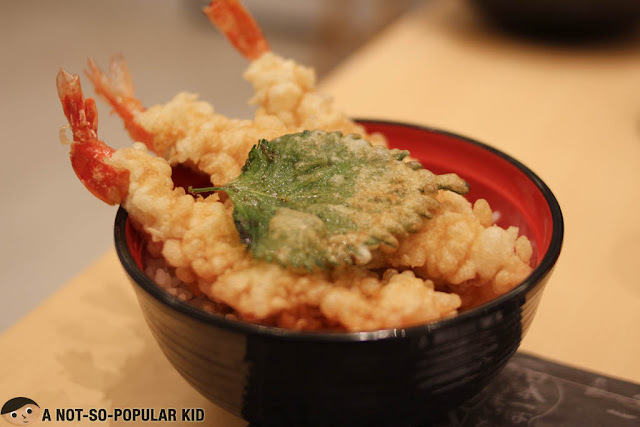 If you are interested in exploring more about this restaurant, you may want to read more about my first Dohtonbori experience in Greenhills here. 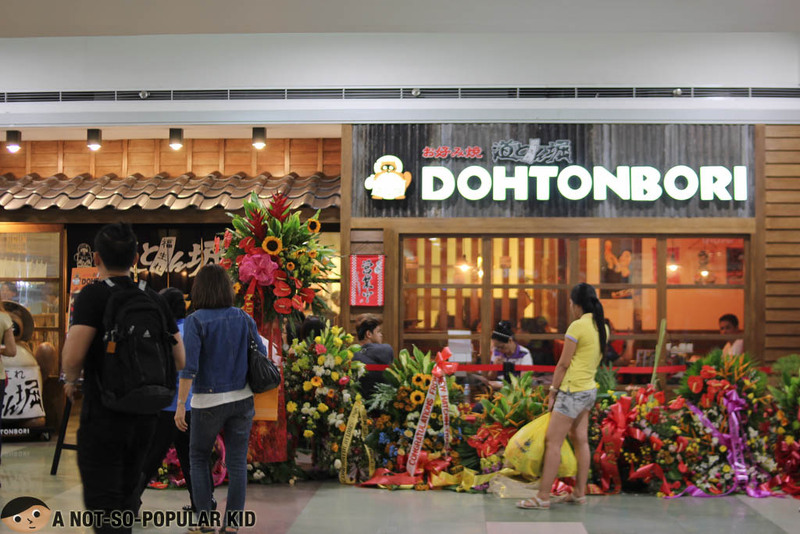 Dohtonbori is located in the Upper Ground Floor of the City Center. 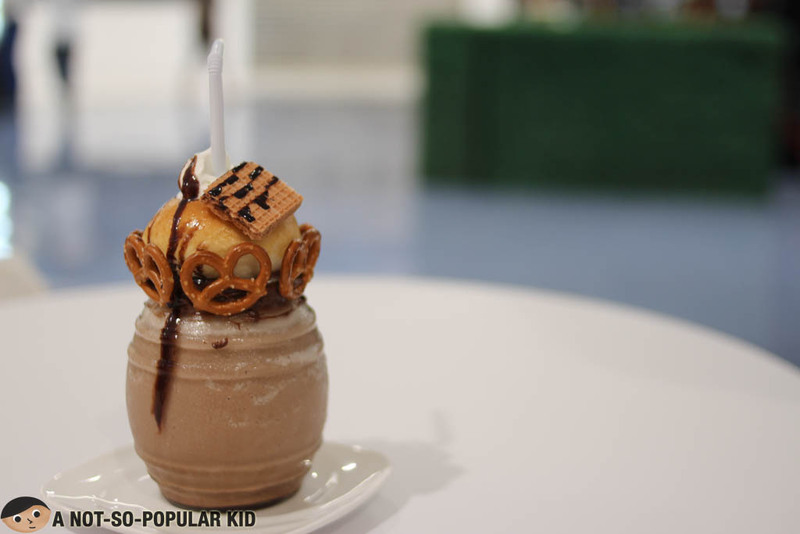 With the recent development in the foodie space of SM City North Edsa, it now became possible to have a food trip in the area without the hassle of bearing the heat. 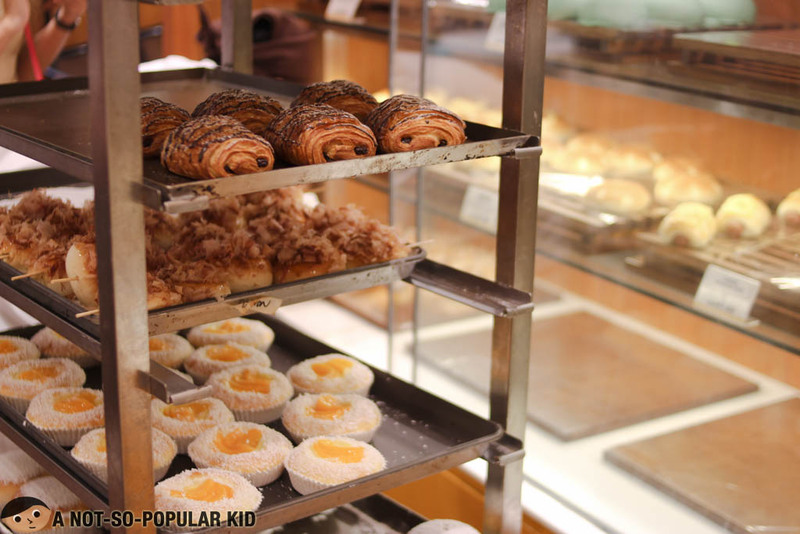 Plus, you have tons of choices to consider. 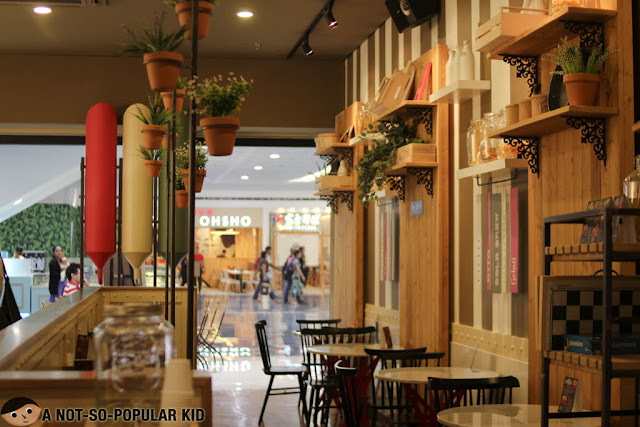 Now, after a day full of sumptuous dishes, we would say that it was totally a unforgettable unique experience, and I would have to say that the mall indeed transformed into a food haven!